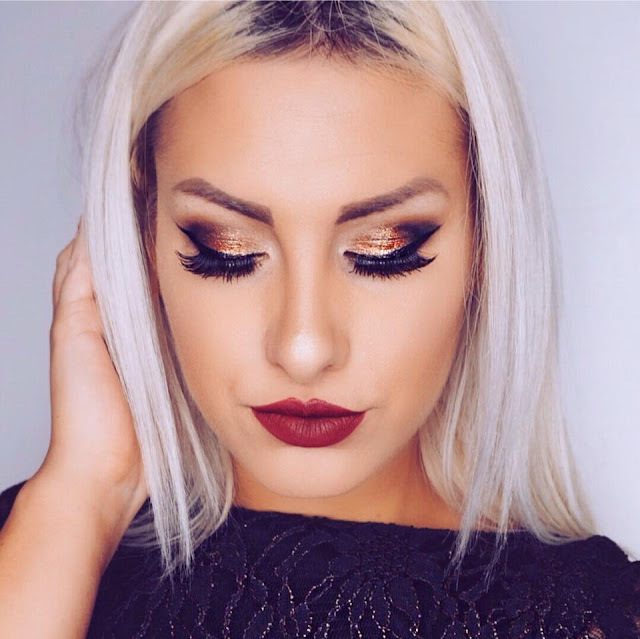 The last makeup look for 2015 was this above and I was very impressed with the turn out. I thought I'd list all the details below as I'm sure you would all be interested in what I used and how you can recreate this look using the makeup listed. I wasn't exactly sure what look I wanted to go for, all I knew is that I wanted a more Red Burgundy Lip and nothing too Smokey in the eyes - this above was the outcome. I used some gorgeous pigments from INGLOT Cosmetics and also used my new Urban Decay Gwen Stefani Palette to create this gorgeous eye look. I was very pleased with this makeup look, I hope you all had an amazing start to the New Year. I have high hopes for this year and more makeup and other things coming to this blog weekly. Make sure you use the hashtag #pugsiefam or #stefypuglisevich if you recreate any of my looks or want me to see anything you've done! All Links to my social media platforms are in the top left hand sidebar.